iTracker is an innovative application that provides a complete alternative way to interact with your computer. It is the absolute best head control software for the Mac that offers a totally new way to experience your mac. Download our free fully functional trial version and prepare to be amazed! This product requires no calibration, no teaching/learning/practice. We designed our algorithms in a way such that it just works, fast and flawlessly. Whats new in version 1.2.1? 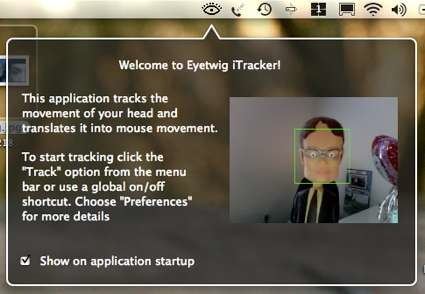 EyeTwig © Copyright 2005–2019 All Rights Reserved.